Rarely available, beautiful and charming 2 bed/1.5 bath 2-story town home in the heart of the Gables! A true gem centrally located, walking distance to Miracle Mile shops, restaurants and schools, close to trolley and bus stops. 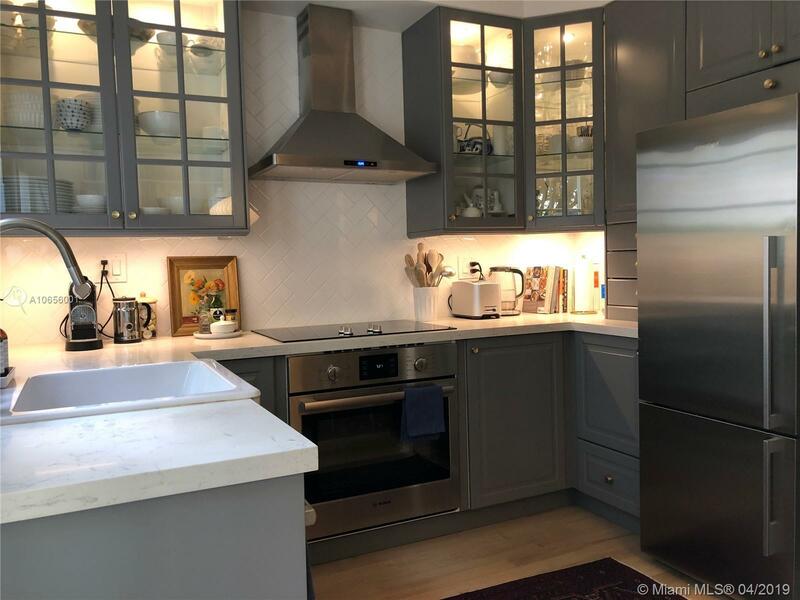 Fully renovated with new grey lighted kitchen cabinets, white quartz countertops, BOSCH appliances and FISHER & PAYKEL refrigerator and white porcelain farmhouse sink. LG washer & dryer, IKEA ALGOT closet systems, refinished pine hardwood floors throughout and fully renovated bathrooms! Private patio ideal for dinner al fresco!